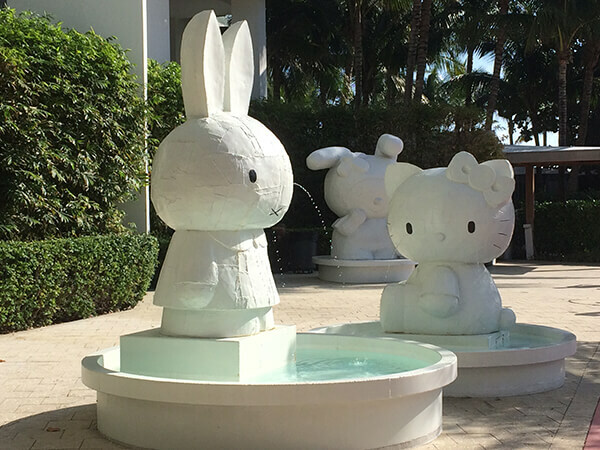 Are you cool enough for W South Beach? Since 1998, W Hotels has been a leader when it comes to creating accommodations that ooze plenty of cutting-edge style, appealing to locals and hotel guests. The string of properties are places to be seen and heard, nearly 50 scattered across 24 countries with more coming at a furious pace. 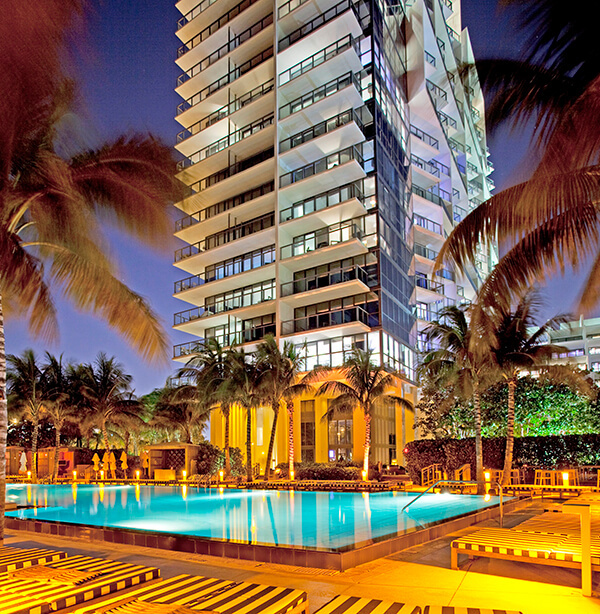 The brand came to South Beach in 2009 with the opening of a twenty-storey, dual-purpose condo hotel housed in a sleek glass tower situated at Collins Avenue and 22nd Street. Though many W properties have taken advantage of existing buildings and repurposed them, this was a new build from the ground up. It makes a glitzy addition to the roster and can boast one of the best locations in town – right on the ocean, surrounded by other snazzy hotels, shopping, parks and restaurants. 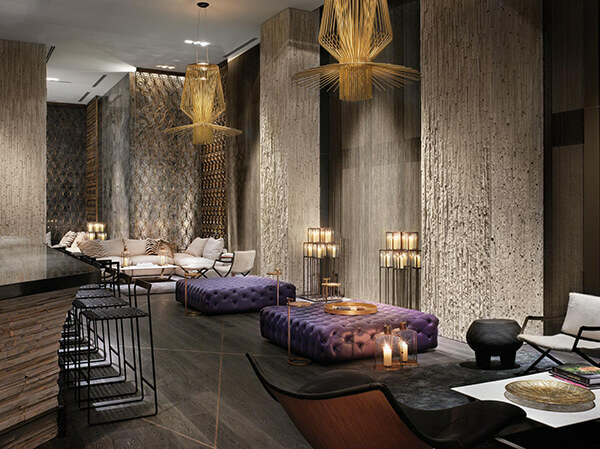 It has a definite wow factor as soon as you walk into the lobby of W South Beach. In keeping with W’s reputation for being hyper chic, this space dazzles with large-scale brass screens, over-sized purple leather poufs, zebra rugs, fur and animal-print covered chairs, plus an impressive array of artwork from big names like Damien Hirst, Jean-Michel Basquiat and Andy Warhol. Grab a cocktail in “The Living Room,” also on lobby level, always bustling with the stylish and the tanned who come for well-crafted cocktails prepared by serious bartenders keen to strut their stuff. This is just one of many spaces meant to maximize mingling. 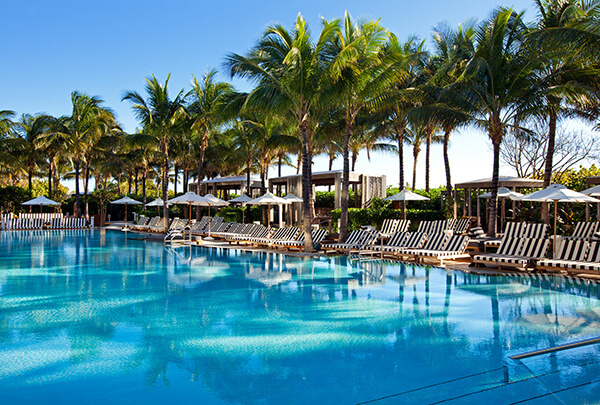 The pool area, dubbed “WET,” is lush oasis – a labyrinth of nooks and crannies where you can enjoy a bit of privacy, drinks and sunshine. On weekends, go early to snag a lounger before the pools get crowded. And be forewarned: Clients here dress for impress. Your worn baggy board shorts or decade-old one piece will look out of place here. Think brightly colored swimsuit wraps and the latest, coolest designer sunglasses – worn with an “I belong” attitude. 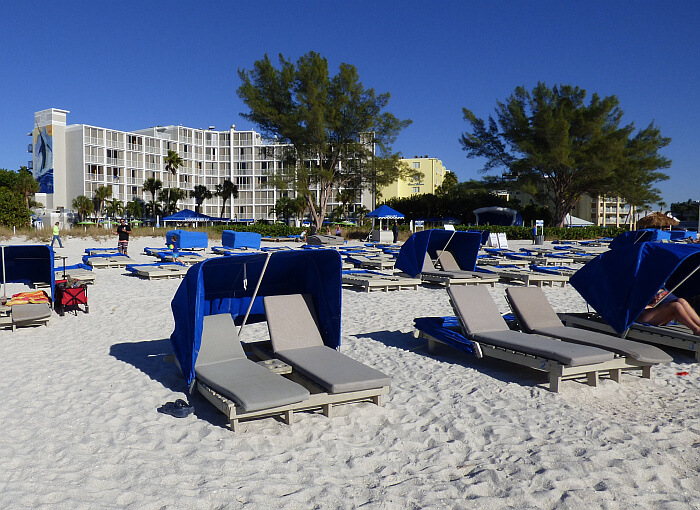 If you want to feel the sand beneath your toes, head to the beach and grab a lounger. The staff will keep you hydrated and fed with light snacks as you watch the parade of toned and beautiful sun worshippers around you as the gentle waves of the ocean roll out over the shore. Active types can also head to the seventh floor and shoot some hoops at the hotel’s own basketball court. Would-be Roger Federers can opt for the tennis courts. The hotel also has bikes available for rent. 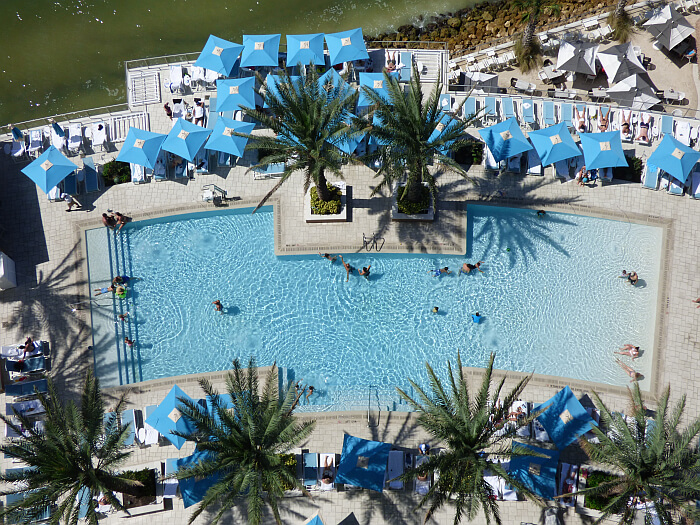 When it’s time to get out of the sun, head to the Bliss Spa on-site or to your room. The suites are roomy – bigger than many hotels on South Beach – with an open airy feel. 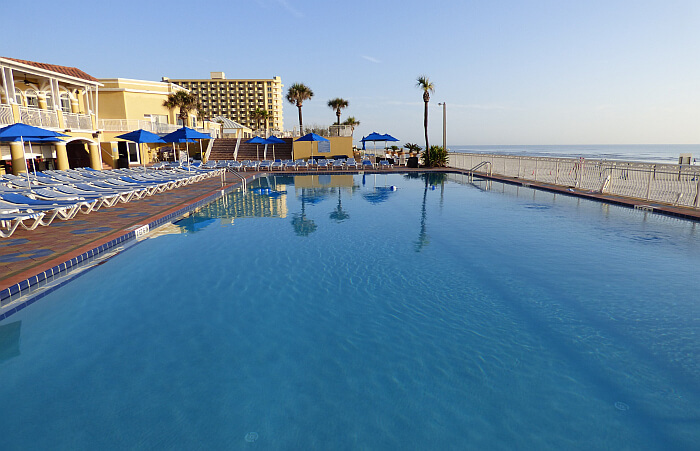 Each has a balcony overlooking the beach, perfect for catching those famous Florida sunsets. The finishes channel quiet sophistication in grey, cool white, mirrored surfaces and a dramatic chandelier. The mini-bars come out of handy and are on open display. The glass coffee table looks like it has been prepped for a party, covered in liquor bottles (for sale naturally), bar accessories and ice bucket. 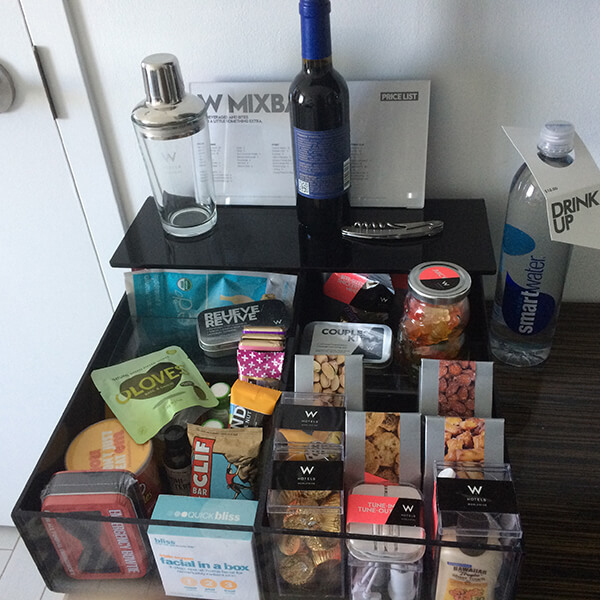 And there’s a prominent display of bar snacks and refreshments, from hangover kits to nuts to bottles of water (priced at an alarming $10 each) – all the essentials for W guests. 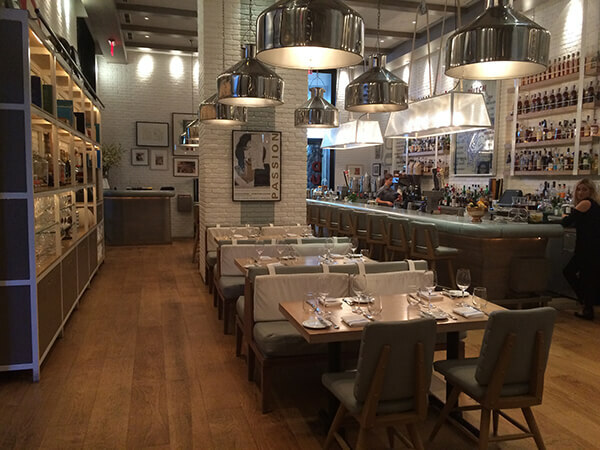 When it comes to dining, top picks include high-end Asian fare at Mr. Chow’s and The Dutch: Original American Dining. For both breakfasts during my stay, I headed to the buffet ($40) at The Dutch. It was a good mix of breakfast staples, like made-to-order omelettes, muffins, pastries, sausage, Belgian waffles, oatmeal and such, plus some excellent fresh tropical fruit and juices. And, for good measure, I had a dinner there as well at a lovely table outside. Seafood plays a starring role with plenty of fresh oysters on offer, clams, tuna, shrimp, stone crab and sturgeon caviar. I wasn’t in a fishy mood so got the pappardelle (wide flat noodles) with lamb ragu, sheep’s milk ricotta and mint. My expectations weren’t high, given the prevalence of seafood on the menu; but this dish was outstanding. The pasta was tender and perfectly cooked and the lamb ragu was just the right amount of saucy to coat the noodles well. I’m not ashamed to admit I scraped my fork across the plate when I was done to get the last tasty smears. Such glitz has a notable price tag attached. Valet parking is $47 per night. A $28 daily resort fee is tacked onto your bill and restaurants automatically add a gratuity (20 percent or 22 percent for tables of six and more) to your check, so watch for that and plan accordingly. One of my pet peeves about hotels is a luxury price tag with two-star service. That wasn’t the case here. I found most of the staff to be genuine friendly and warm, happy to chitchat and welcome you back each time you headed back to the room. The lovely ladies of housekeeping were super sweet, piling up extra Bliss-branded toiletries in the bathroom and tidying up my messy array of shoes neatly on the floor. When it comes right down to it, service makes or breaks a hotel. Even the most luxurious hotel isn’t worth a return visit without good staff that understands the meaning of hospitality. 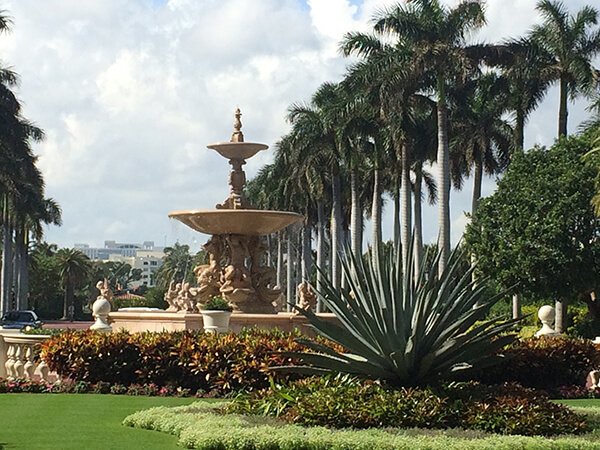 Judging from my own experience and other reviews I’ve read, it’s clear that the W South Beach gets that, too. Rooms start at $550 per night. Check rates with the hotel or try Priceline. Michele stayed as a guest of W South Beach. As always, her thoughts and opinions are her own. Photos courtesy of Michele Sponagle and W South Beach. Michele Sponagle is a prolific travel writer who has traveled to more than 70 countries in pursuit of adventure. She has tracked polar bears in northern Manitoba and learned to make curry from scratch at a cooking school in Singapore. She contributes to many top media outlets, including Refinery29, SmarterTravel, iExplore, Foodal.com, among others.